This Solar Powered Aerial Cable Car Toy can help teach children about the benefits of solar power. The cable car toy is a fun working model to construct, allowing a world of fun and imagination once created. The Solar Powered Aerial Cable Car Toy is supplied in kit form, this allows the child to get involved with it fully, enjoying creating the cable car before experiencing how effectively light energy is converted into electrical power which is used to allow the car to move back and forth along its cable. As the solar panel works best in bright sunlight, the cable car is best placed outside, great for those with sunny gardens and outdoor areas, secret messages can be passed back and forth via the car, or whatever else your child can imagine. 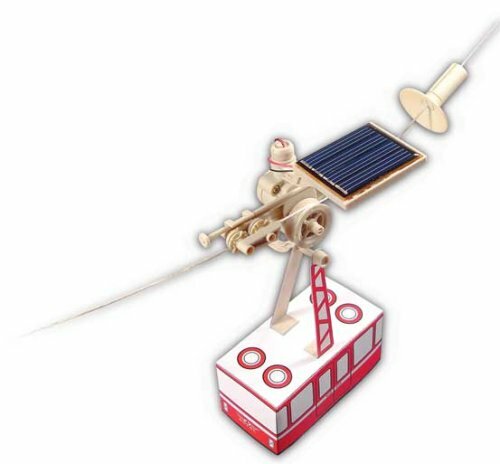 The Solar Powered Aerial Cable Car Toy is supplied with an illustrated assembly guide, taking you step by step through the car’s construction. To construct the kit you will require diagonal cutters, a screwdriver, and scissors. 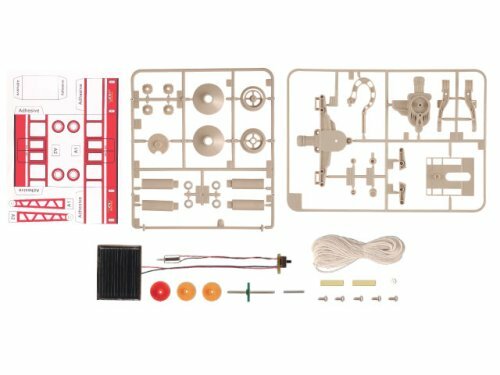 The cable car toy kit is suitable for 10+, this is due to the level of complexity in constructing the toy and due to the small parts. The Solar Powered Aerial Cable Car Toy can help teach children the abilities of solar power, while helping them develop skills at technical precision. Once constructed, the cable car toy can help inspire your child’s imagination. The Solar Powered Aerial Cable Car Toy makes a great gift for just $17.95, and includes free delivery.